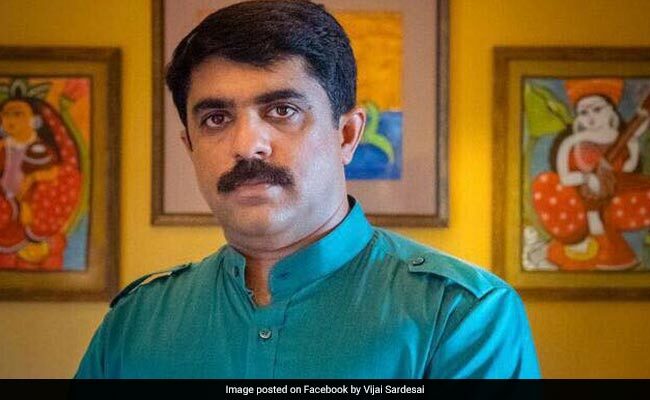 The people are the government's real Valentines, Goa Agriculture Minister Vijai Sardesai said on the occasion of Valentine's Day. "The government cares for South Goa. We are in love with you, " Mr Sardesai said. "The government cares for South Goa. We are in love with you. I say this on Valentine's Day, a day when we share love," Mr Sardesai said. Valentine's Day is celebrated globally on February 14, as a day for sharing love and affection. Lauding the state's Manohar Parrikar government for opening a regional passport centre in South Goa district, especially in the Xaxti sub-district, which tops the state's out-migration trends for employment, Mr Sardesai said that travelling makes people broadminded. "A traveller's goal is to ensure that his passport runs out of pages. His goals are met when his passport runs out of pages," he said. "Those who travel the world become broadminded. You cannot have a fat passport and not be broadminded. And this facility is for the broadminded people of Goa," Mr Sardesai added.